I'm represented by Kat Oliver at Conway van Gelder Grant. Training includes Identity School of Acting and the National Youth Theatre, as well as ongoing workshops and skills courses. Please visit my Spotlight Page for full acting credits. in May 2018 I joined the National Youth Theatre Rep Company, winning one of 16 places over 1000+ auditionees. The course entailed 2 months of training with leading theatre practitioners followed by 4 full-scale productions in 2018-19. Shows were at Soho Theatre, The Garrick and the Lyric Hammersmith (studio). To find out more about Rep, click here. Legendary immersive company Secret Cinema built the world of the iconic film Blade Runner for its 2018 production, which fell on Secret's 10th anniversary. There's still only so much I can say, but I played Sergeant Deja Schaf of the LAPD and as for the production, the glowing reviews give an insight! The show ran March-July. Doktor James' Bad Skemes is a family show that premiered at Vault Festival 2018. BROOD was a 15 minute piece shown at the Arcola Theatre as part of Pennyworth Productions' political new writing night, PEN. I played a young woman whose mother had fallen pregnant. Directed by Kennedy Bloomer. Pecs Drag Kings' sellout The 80s Show ran at the Glory in March 2017 and at Soho Theatre in December 2017. It was nominated for an Offie award. More on my Drag work here. What if Women Ruled the World? is a piece of art/theatre created by Yael Bartana and director Vicky Featherstone, written by Abi Morgan, for the Manchester International Festival. I participated in the R&D stage, where we explored pressing issues like governance, human error and gender in an improvised but highly observed session. In January 2017 I joined a cohort of young, up-and-coming actors training at the Identity School of Acting. The school's founder, now with an OBE, has made amazing strides in creating representation where there was little. Our 2017 showcase was Contractions by Mike Bartlett, and I was hugely honoured to receive the Best Actress award in my tier. I joined the National Youth Theatre in May 2016, winning one place in 300 over some 5000 applicants. Our Epic Stages course was led by RSC Associate Owen Horsley and Brad Birch, writer at the Royal Court, and looked especially at Brecht, physical theatre, verse, ensemble work, and clowning. We showcased an original piece at Rose Bruford. 'The 24 Hour Plays Project' was a challenge where writers, actors & directors came together to create & stage a short piece in only 24 hours. Proceeds went to an arts education charity. 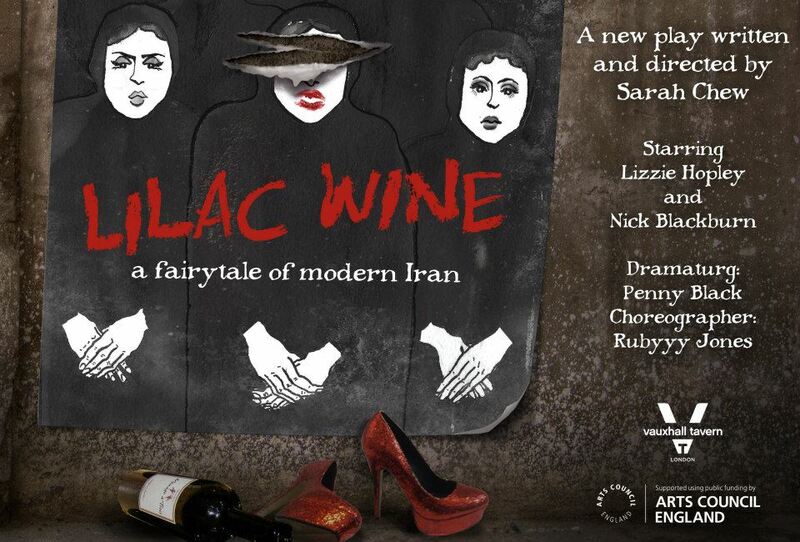 Lilac Wine is very loosely inspired by the time writer/director Sarah Chew witnessed a revolution, by accident. It is an unreliable memoir exploring time she spent in Tehran in the aftermath of the Green Uprising in early 2010, and her subsequent experience of PTSD. I was Assistant Director for 2015 runs at the Royal Vauxhall Tavern and Camden People's Theatre, as well as an R&D stage at the Roundhouse.